To be on the receiving end of a flamethrower is surely terrifying, but man-portable versions have their limitations. The big one is that they essentially turn their users into vulnerable, lumbering gas tanks. Besides, the fire-spitting weapons have very short ranges, forcing soldiers to move dangerously close to their targets. After World War II, the U.S. Army spent considerable time and effort trying to make flamethrowers safer and longer-range. In the late 1960s, the ground combat branch finally cooked up a novel solution—replace these weapons with an incendiary rocket launcher. In the end, the resulting M-202 Flame Assault Shoulder Weapon—or FLASH for short—became the service’s last flamethrower. By 1955, the Army was in the market for a “a lightweight multishot portable flamethrower with minimum weight components,” a Chemical Corps report stated. In addition to cooking up poisonous gases and deadly toxins, the Army’s chemical warriors also worked on incendiary munitions. The service wanted “a one-shot portable weapon that could be reused or discarded if the need arose,” the report noted. At the time, flamethrowers were cumbersome and bulky. When filled up with thickened gasoline fuel, the standard M-9–7 unit—worn like a backpack—could weigh up to 50 pounds. To actually have a chance of flaming the enemy, a soldier would have to lug this burdensome arrangement within 200 feet of the target. Even if the shooter did get close enough, the weapon provided a mere nine seconds of fire before running out of fuel. Topping off the fuel tank under fire was simply not a practical option. The first American troops arrived in Vietnam almost a decade later, and they took these aging flamethrowers with them. But soldiers soon began leaving them behind on combat patrols. Instead, the grunts mainly used the fire-spewing guns to seal up tunnels and bunkers after operations had finished up. Near remote operating bases, U.S. troops used flamethrowers to scorch foliage that guerrillas might use as cover. But well aware of what an incendiary weapon could do in the Vietnamese jungle, American commanders still wanted an improved design that troops might actually want to use in combat. In response to those requests, the Army’s weaponeers put together a relatively simple four-barrel rocket launcher that would fire 66-millimeter incendiary rockets. The boxy weapon—unimaginatively dubbed the Multishot Portable Flame Weapon—could could shoot off the fiery projectiles in rapid succession. Soldiers didn’t have to carry around a giant, flammable tank either. Unlike with regular flamethrowers, troops in Vietnam could quickly reload the XM-202 launcher with four-round clips. To save money, the XM-202’s rocket ammunition used the same motor as the Army’s existing M-72 anti-tank rocket. But instead of high explosives, the new rounds had a warhead filled with a so-called “thickened pyrophoric agent,” or TPA. The mixture contained triethylaluminium, a compound distinct from napalm that burned all by itself when exposed to normal air. A small explosive charge inside the M-74 rocket was simply there to disperse the flammable TPA after it hit its target — not to ignite the mixture. Most importantly, the new launcher was only half as heavy as the old M-9–7 flamethrowers and could hit targets five times further away. When an M-74 burst open, flaming particles could go flying more than 60 feet in all directions. With all of these improvements, the Army declared the weapon a success. 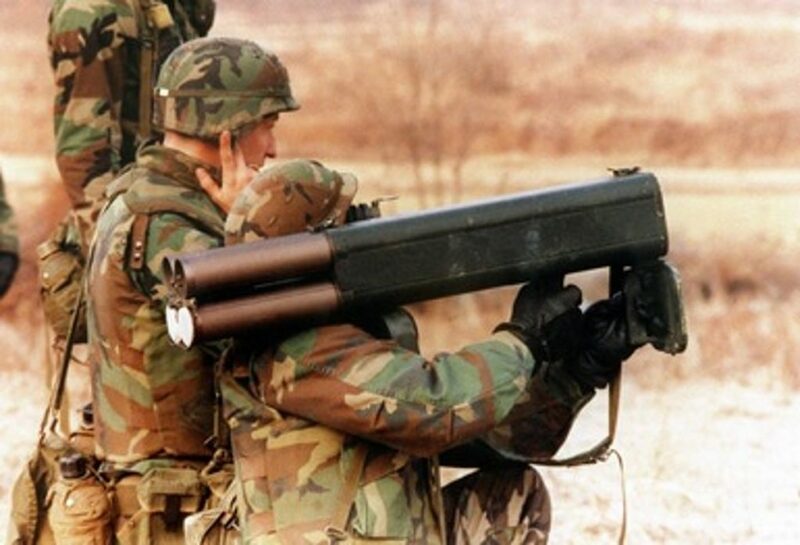 After tests in Vietnam, the Army moved to distribute the flame-throwing rocket launcher—with the improved, final version renamed the M-202A1 FLASH—to all types of infantry units. To try make the weapon even more versatile, Army technicians created another rocket for the launcher, the XM-96. Unlike the original incendiary projectiles, this new warhead was full of tear gas. The Marine Corps also considered adopting the weapon, but eventually decided to move away from flamethrowers of any type. However, the M-202’s success was short-lived. While no international law bans the use of flamethrowers—rocket or otherwise—in combat, the Pentagon unilaterally decided to stop using the more traditional designs in 1978. The FLASH was supposed to take their place, but soldiers don’t appear to have ever fired the launchers in anger. The Army has denied reports that soldiers in Afghanistan had M-202s. For the most part, the launchers and rockets seem to have languished in Army arsenals, likely awaiting some final decision on what to do with them—or how to dispose of them. The M-202 arguably had a more satisfying career in movies and video games, including a notable appearance in the 1985 Arnold Schwarzenegger shlock-fest Commando. Some of the M-202s might still be in storage today. As recently as 2004, the Army’s Armament Research, Development and Engineering Center strapped on the launchers to a Talon bomb-clearing robot. The experiment was supposedly a “proof of concept” for small, tracked drone that could accompany soldiers on the battlefield. The Army creatively named the whole effort the Special Weapons Observation Reconnaissance Detection System, or SWORDS. If and when these unmanned combat robots become a reality in America’s military arsenal, they’re probably unlikely to field incendiary rockets. The Pentagon just isn’t that into flamethrowers.